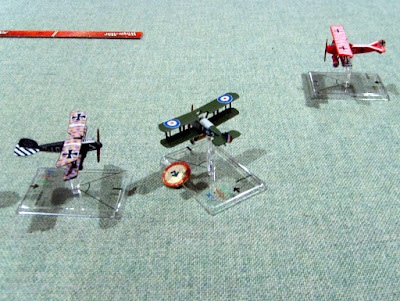 A multi player game of Wings of War took place as I finally get to use the multi-engine Bombers from Flight of the Giants. 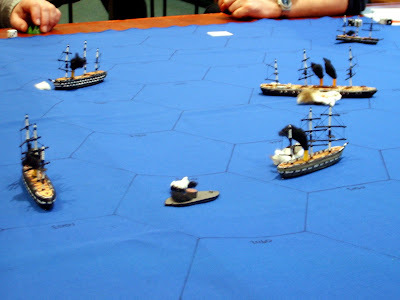 A simple warm up game with just fighters, to get a new player familiarised with the game, was followed by what the rulebook describes as a 'Stop Them' scenario. Quite a variety of games going on tonight. I managed to play a couple of Wings of War games with Tony, who despite never playing the game before soon picked up the tactic. Avoided using the altitude rules as for new players and single head-to-head games I find it redundant. 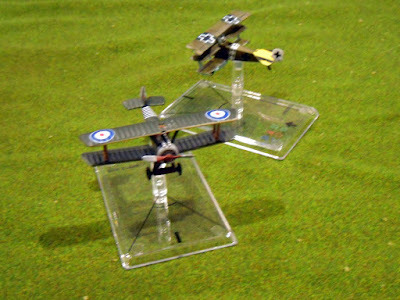 Altitude is best used for 'furballs' with 6-8 planes involved. Didn't get the chance to use my newly purchased 'Flight of the Giants' expansion yet. 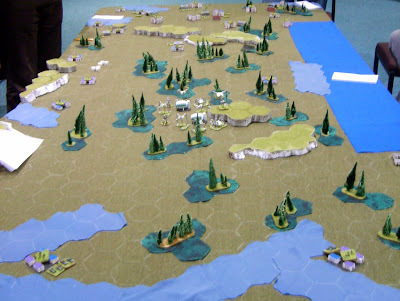 A game of Battletech, run by Martin, as Keiron rolls back into town. And a chance to finally use Norbert McVitie in action (despite Martin initally trying to hand his sheet to someone else). 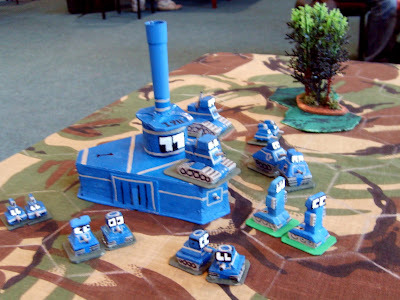 A raiding party, amazingly of exactly the same tonnage as our 5 Mech Lance, is entering the territory near our base. Keron, Baldy, Simon, Tristan and myself vs Martin. 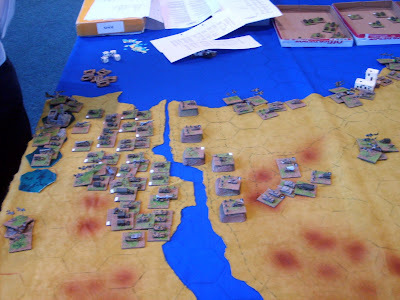 A couple of games of Svea Rike as the club, still low in numbers due to the holidays, found itself exiled down below as the main hall was laid out for 'Out of Africa' kids activities. 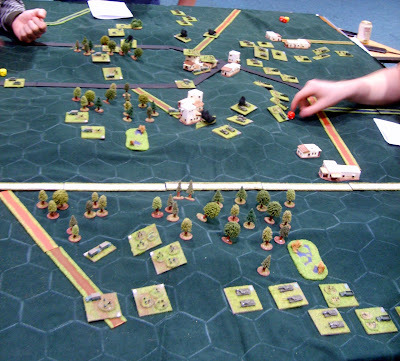 First game was fairly standard, with a new player learning the ropes, and a number of successful battles against the foreigners. I manged to pick up a few points on the way by using event cards to help out these battles, but couldn't buy up enough land or resources. Low scoring in terms of points with Martin winning. 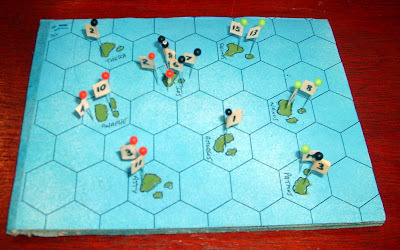 Second game was played at speed due to the limited time left, but was actually finished with no problem for time. 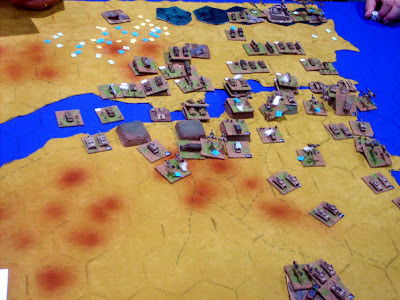 This was strongly merchant based game, as a number of disastrous wars saw the lands depleted. Colin took victory with his pile of mercantile cash. I came second with my lands and resources after a quick early bout of merchanting before a war with Russia took them out. Craig wanted to do a big player game of Formula D, the new version of Formula Dé, so I decided to join in as it's been sometime since I've played a boardgame. Rolled for pole position and ended\started up in mid-field which I was happy with. Have never thought of pole as being much of an advantage in this game, it's often better to reach the corner at race speed, particularly if the next corner is within one turn\gear shift reach. Was going to be a three lap race, but the decision was made to shorten the race to a single lap half way through the first lap, due to not wanting some late turn ups to sit out the game, so people started burning their tyres more. Some how I managed to take the lead by taking a risk out of the penultimate corner and burning all my tyres out of the final corner to be able to reach sixth gear and the finish line. Was surprised by the over cautious approach of the two lead cars in the penultimate corner as both had tyres and brakes left. Next couple of races were one lappers on street circuits, a new feature with this version of the game. This was the first time for me in playing the street circuit rules. Chicago, the flip side of Sebring, was the first. Rather than hot rods the vehicles were more clown cars\keystone cops as ramming and excessive debris caused vehicles to fall apart quickly. The rain in the second street race, using the original race track with all the gimmicks, lead to even further devastation; with four cars being knocked out before the fourth corner and only three finished, including one who had to limp home in low gear to survive. Turns out Craig's desire for a Championship season is taking a bit of a hammering given the lack of availability of different tracks, the new releases are few and far between and the old version maps are going for funny money on eBay. Shame as running a near full season can be great fun. 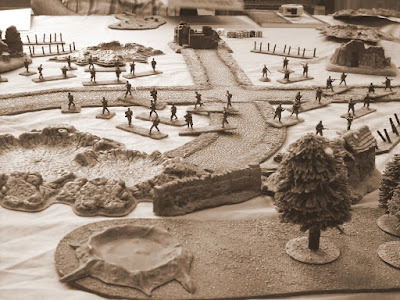 More action from the Great War's Eastern front, as the Germans try and exploit a gap between two Russian divisions, as the Russians rush in to plug the gap. 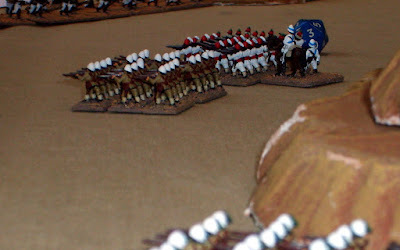 Matt and Mark play the perfidious Prussians, Paul and I the heroic Russian Imperials. 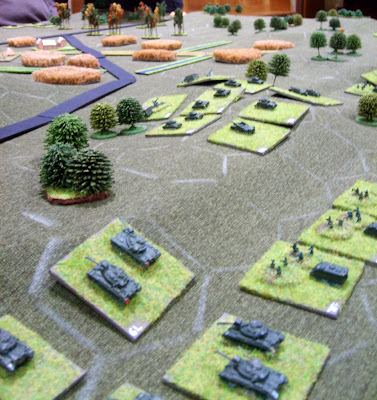 We were allowed a preliminary bombardment to try and weaken the Jägers who were holding the village. Unfortunately they managed to evade the shells by loitering around in the open and not taking covers in the ruins, which got ruined even more. But at least the shelling cleared away large sections of barbed wire. 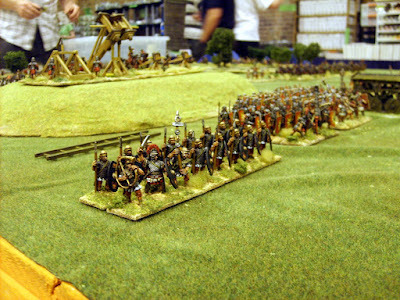 Jim and Matt had brought in some of their 15mm ancients. Ptolemaic Egyptians verses Maccabee\Hasmonean Jews. The rules being a heavily modified version of DBMM, DBAs big brother, and a game which I've never played before. 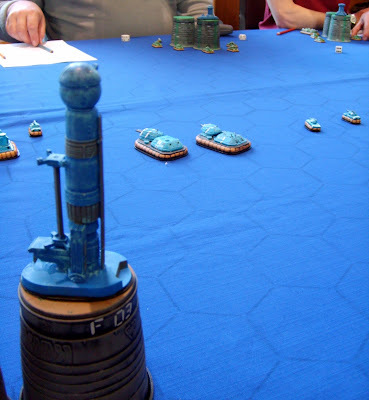 Ogre rules but no Ogres in sight as we played a three-a-side game using G.E.V.s, the only appropriate crafts for fighting in this 'Waterworld'. Sides were All the Dave's (with Jeff, who was paying us a visit, as an advisor) verses a collection of oddballs. 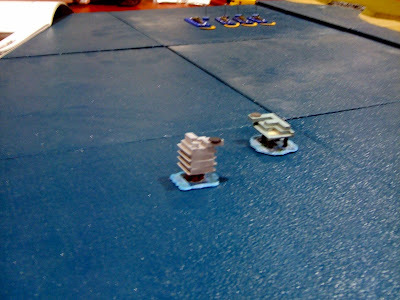 Ended up playing Paul's conversion of the old boardgame Rivets into a table-top miniatures game. The original games was released in the 70's by MicroGames. With the 30 points of Boppers to start with, I went and split it fairly evenly through the different types. Took all four of the possible Tiny Boppers, and two of the Big Boppers. In terms of programing I just had them matched off against their own type. The new Battrick season is upon us, and it's all change in my One Day league with three new teams, two promoted and one demoted. The camper at the top of our league was neatly disposed of by the team that finished second, but not by beating him but by deliberately losing so badly as to force the offending team into the final automatic promotion spot available for the next level. 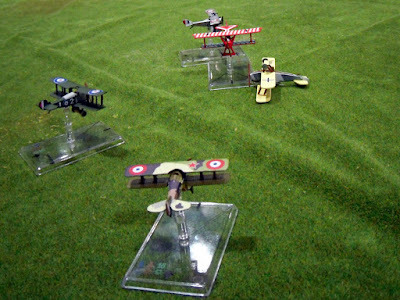 A bit of aquatic action under the waves as Paul's Stringray models get a run out. 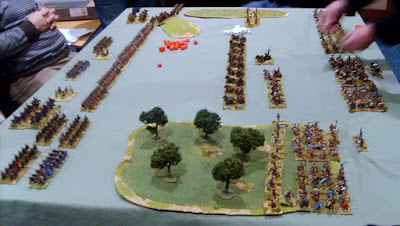 Not Paul's rules but the ones used by the Warlords to run their demo games at the southern games shows such as Salute. 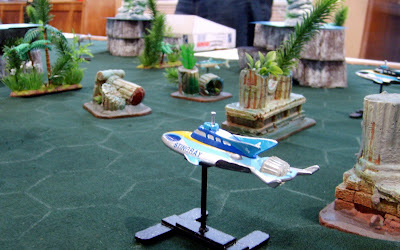 A 'Save the Whale' scenario as two Stingray class craft defends the big creature from an attack by four Terrorfish. The delayed St George's Day game, played on May Day instead. 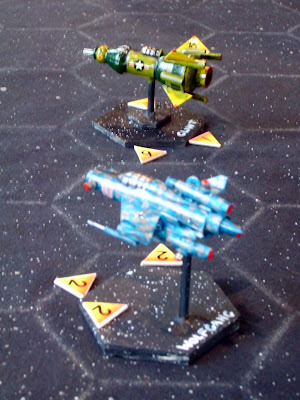 A warm up for what will probably be the game that the Furness Wargamers will put on at Phalanx. 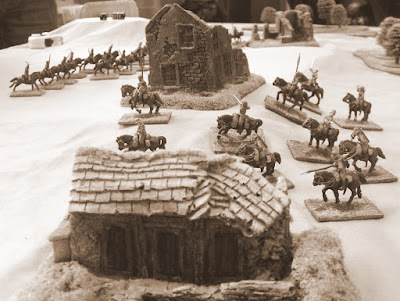 All figures and terrain (excluding the horrid underlying bedsheets) by Matt who refereed the game. 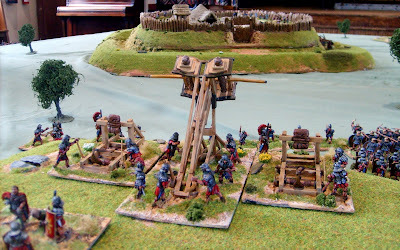 Rules are Warhammer Ancient Battles, original version and not the newly released WAB2, but with house rules such as tweaking skirmishers. Colin, Tony and Martin as the Perfidious Celts, Dave S and Tel as the Heroic Romans. 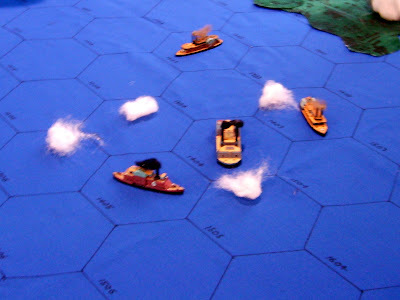 The Newfangled Ironclads of Austro-Hungary and Italy (and a few remaining wooden ships) are duking it out for control of the Adriatic in a battle that historically saw little action but some strange manueverings as both sides get to grips with the new realities at sea. The second Warrior Bazaar was held at the Park Hall Hotel, near Charnock Richards, next to the Camelot Theme Park. Was quite on the roads as Camelot does not open till Easter. Wasn't interested in the Theme Park anyway as 'it is a silly place'. This venue is much easier to get to than the previous location in Bolton. The Martians, not having the best of times in 1940's Russia; travelled back in time to 1920 and decided to invade a small group of islands to the west of the main land mass. Just how hard could it be? 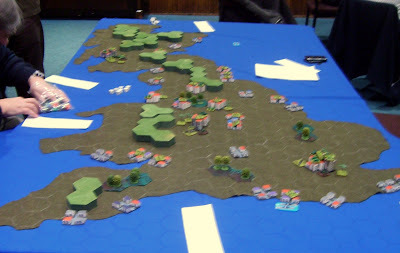 Judging by the map the Aliens had been busy prior to the invasion of Great Britain, demolishing the Isles of Wight, Man, Anglesey and dumping the remains to fill in The Wash.
Another game in Middle-Earth, using the same rules as last week. 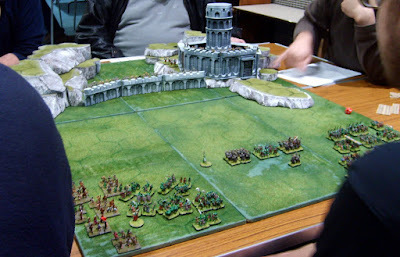 This time I sat out and watched on as the brave Orcs and Dunlending freedom fighters tried to storm the nasty strawhead's stronghold of Helm's Deep. 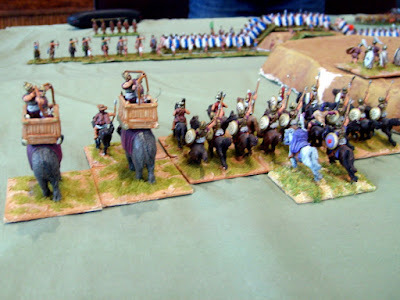 On Tuesday we played an Ancient battle in 28mm using a modified version of Warhammer Ancient Battles using Matt's miniatures and terrain. 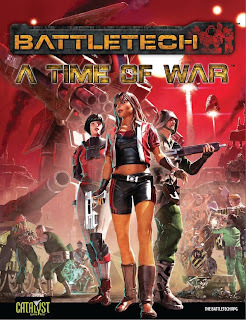 Matt's not too interested in 2nd Edition WAB which is due out soon (after a long delay) and has done his own tweaks to the rules and force composition. 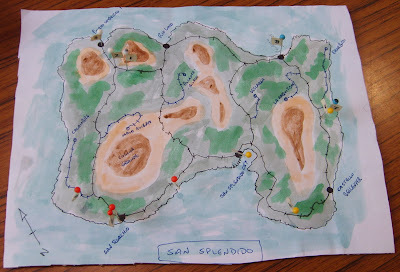 Scenario is based on Mons Graupius. 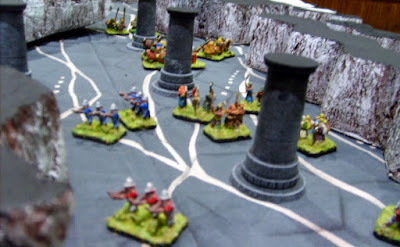 The last remaining organised Celtic force in Britannia are defending a ridge line in their homeland of Caledonia against the Roman forces who have nipped over the wall for a quick bash. The Battrick season has once more come to an end, with a better than expected final standings. Managed to bounce back and earn promotion in the First Class after being demoted down to Div VIII last season. This was despite messing up my team selection on a couple of occasions. First using my outdated default team, who scraped an unlikely draw with my nearest rival, and then forgetting to set a lower declaration point against another team, the match petering out to a draw. Still managed to go the season undefeated, 8 wins, 2 draws. 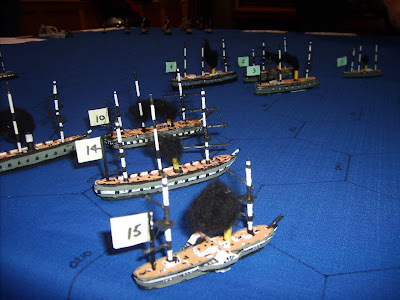 Have just done the annual update of the convention list on the Furness Wargamers site, and am cross posting it here. Not sure which of them I'll actually visit, and details on later shows not really available yet. Vapnartak : 7th Feburary 2010 (Sunday): Knavesmire Exhibition Suite, York Racecourse. Triples : 17th & 18th April 2010 (Sat & Sun): English Institute of Sport, Sheffield. This has moved from the Octagon Centre. Phalanx : 19th June 2010 (Saturday): Sutton Community Centre, St Helens. A more detailed calendar at this wiki site, with some details to be taken with a pinch of salt (true for all wikis).